It seems that the visit to Yasukuni Shrine was the last straw for Chinese leaders in their dealings with Abe. Hua said that Abe’s decision to visit the Shrine “severely damages the political foundations of China-Japan relations.” Ever since, the Chinese have repeatedly stated that high-level meetings between the two countries are off the table — not that talks looked particularly likely before then. What’s more, China has placed the ball for restarting such dialogues squarely in Abe’s court. “It is Abe himself who shuts the door on dialogue with Chinese leaders,” Hua said. Now, China insists only Abe can re-open that door by showing “earnest and profound remorse” for Japan’s “history of aggression and colonialism” and by taking “real steps” to improve the relationship. Of course, it’s hard to imagine any step that Abe could realistically take as being “earnest” and “profound” enough for China’s government. No matter what one believes about Japan’s past in general or the Yasukuni Shrine in particular, Abe could not have failed to recognize the enormous backlash his visit to the shrine would cause. It’s disingenuous to act now like the incident was just a misunderstanding, one that could be solved by an in-person explanation of his “true intentions.” And if that were the case, Abe would have been wise to make such explanations before visiting the shrine. In diplomacy, perception is often the key. No matter how innocuous or well-intentioned an action may be, if it strikes the other party as offensive or threatening, that action is inherently harmful to the diplomatic relationship. This explains the furor over China’s ADIZ. It also explains the damage done to China-Japan ties by Abe’s visit to Yasukuni. It would seem Abe determined that going to the shrine was in his (and presumably Japan’s) best interests. My colleague Ankit argued earlier that the visit was a calculated political move designed to increase domestic support for Abe’s nationalistic policies. Whatever the reason, Abe’s visit to the shrine proves that China-Japan ties can be sacrificed in the pursuit of another goal. Whatever Abe thought he was accomplishing by going to Yasukuni was more important to him than avoiding the wrath of both China and South Korea. This political calculation does not inspire confidence for the future of China-Japan relations under Abe. This is even truer now, after China’s leaders have repeatedly doubled down on their criticism of Abe and Japan. China’s rhetoric has escalated to the point that it would be all but impossible for the leadership to back down — assuming that Abe does not capitulate and give Beijing a reason to restore ties. This is also unlikely, because Abe has his own domestic image to consider. Diplomacy is hard enough when two countries genuinely want to keep tensions at a minimum. When one or both reaps a domestic advantage from stoking the fire, forget about easing tensions —avoiding actual conflict is the best case scenario. Under the circumstances, the only hope for a reset of China-Japan ties is if Abe is ousted as prime minister. Abe has too much invested in his image as a nationalist to back down, and China’s leaders have repeated their scathing critiques too many times to be able to go back on them. Only fresh faces could potentially end the freeze — and Xi Jinping isn’t going anywhere. 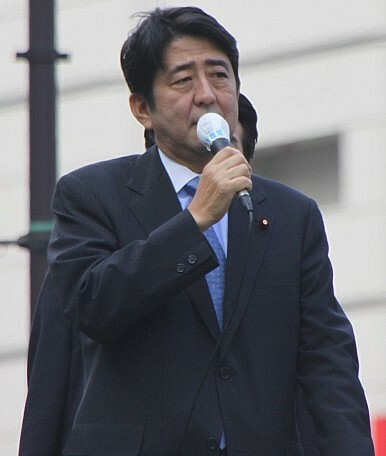 Should Abe’s economic policies peter out, costing him the next election, there is some hope for an end to the standoff. In the meantime, both countries are firmly stuck on their current trajectories, which is bad news for security in the Asia-Pacific. China's Foreign Minister: No Cause for Optimism in China-Japan RelationsChina's Dream Doesn't Have to Be Japan's Nightmare The Latest Sign of a China-Japan ThawChina's 'Victory Day' Celebration Will Xi and Abe Meet at APEC in Beijing?